Traumatic deliveries are common, but birth injuries are pretty rare. Out of 4 million live annual American births, approximately 28,000 suffer from some type of birth injury. That translates to one in just over 9,700 infants or 76 nationwide per day. Nonetheless, one injured baby is one too many. And when that involves yours, it can create a paralyzing sense of dread. Fortunately, most birth injuries can be totally avoided if you know what you’re looking for and react accordingly. But what are some of the most common predictors or risk factors of birth injuries? Mothers who are already overweight or underweight prior to getting pregnant can pose a risk for a potentially traumatic pregnancy and delivery, especially if those weight concerns aren’t treated during pregnancy. Excess weight in the mother can lead to fetal macrosomia, a condition where the baby is at least ten pounds at birth. Higher birth weights not only add to a traumatic delivery but can cause injuries to the infant during or after birth. Proper prenatal care and attention to maternal health are essential during pregnancy. Vices such as smoking and alcohol are heavily discouraged during pregnancy for some serious reasons. Everything the mother ingests during pregnancy affects the growth progress of the fetus. Drinking alcohol during the first three months of pregnancy can result in facial deformities and organ failure during the later trimesters. The 4,000+ chemicals in cigarettes, on the other hand, can lead to premature delivery, low birth weight, oxygen deprivation, and even stillbirth or SIDS. One in 33 babies nationwide is born every year with birth defects. Birth defects are the leading cause of infant death, accounting for about 20% of all birth fatalities. While most birth defects occur during pregnancy itself, treatment is available to the mother during the gestational cycle. It’s the doctor’s and medical team’s responsibility to diagnose and treat those issues during the pregnancy to avoid further complications. But many birth defects go misdiagnosed and not only end up surprising the parents but also result in birth injuries. Infections and illnesses are common during pregnancy, and they can be easily treated by competent physicians. Yeast infections, bronchopneumonia, rubella, measles, influenza, hepatitis, and even the common cold can pass from the mother to baby and affect fetal growth. If they’re not diagnosed and treated promptly, they can lead to birth injuries. Strep can even be fatal for a newborn. Birth-related negligence or malpractice can occur when a medical team or professional acts aggressively or otherwise fails to care for the mother and infant in a responsible manner. Injuries that can occur due to medical negligence or aggressive delivery include nerve damage to the baby’s spine or limbs, cuts or bruises due to forceps or vacuums, and broken bones. Most injuries can heal quickly or with proper treatment, but some such as paralysis or brain injuries due to oxygen deprivation may be extensive or even require lifelong treatment. 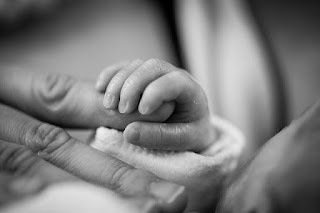 If you feel your child’s birth injury was due to medical negligence, give us a call to be connected to the right Michigan birth injury attorney. There’s no reason to suffer alone.